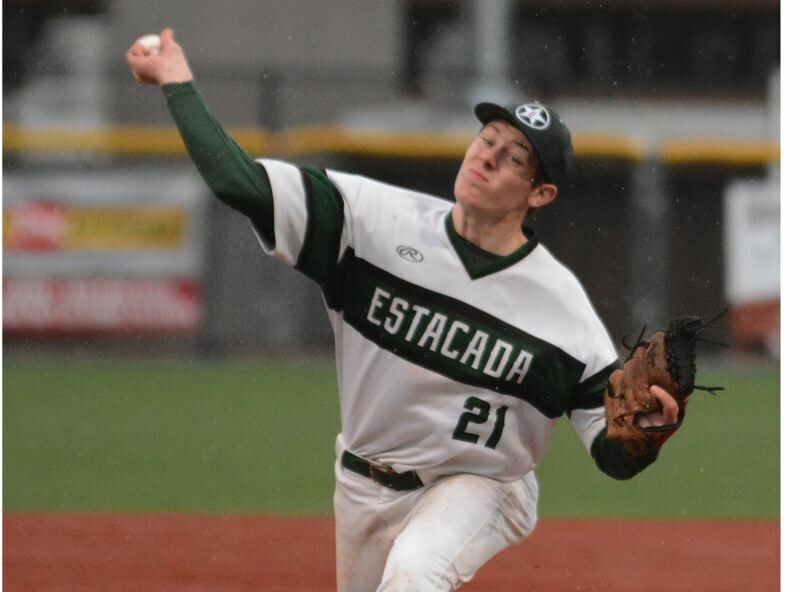 Estacada's baseball team opened the Tri-Valley Conference schedule Monday with a 17-4 loss to Gladstone. 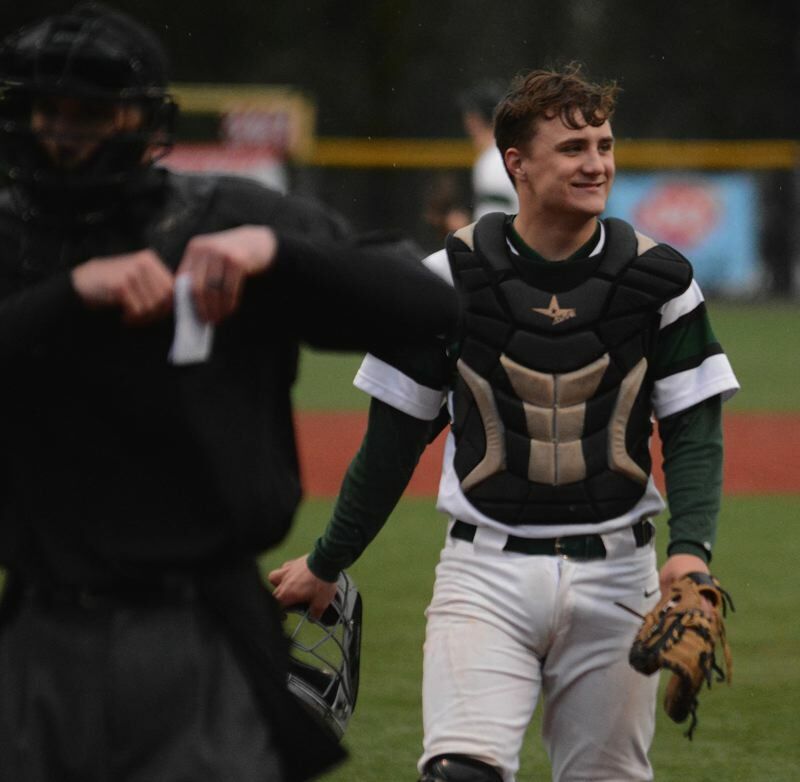 Already rained out once and with no relief in the forecast, Estacada moved its league opener to the turf fields at Sandy High for a game that was played under a heavy downpour throughout. Home plate was already underwater while Estacada was still batting in the bottom of the first inning, and work to the mound was under way not much later. Gladstone battled through the poor playing conditions with early RBI-singles from Matthew Kuhn and JP Peterson, while Ben Gill added a bases-loaded walk. One time through the batting order, and the Gladiators were up 4-0. Austin Conner started the second time through the lineup with a bases-clearing triple to the center-field fence. Estacada starter Conor McNulty struck out the next batter to end the inning, but the damage had been done. Gladstone was up 7-0 before Estacada had touched the bats. The Gladiators pushed four more runs across in their next at-bats to put the mercy rule in play in the second inning. Estacada got onto the scoreboard in the bottom of the second when Kaden Settle was hit by a pitch with the bases loaded. Cody Hovda would add another run on a wild pitch moments later. Jackson Turner led the Rangers by hitting 2-for-3 with an RBI-double. He was also one of four pitchers that Estacada sent to the mound, finishing with a team-high three strikeouts. This story is slated for our April 11, print edition.